On 25 April 2018 Chancellor Angela Merkel will receive the Albanian Prime Minister Edi Rama, to the Federal Chancellery. Ahead of a meeting later with Chancellor Angela Merkel, Rama warned that Russia was also intent on radicalising Albania’s Muslims, and urged the EU not to “leave a space for other countries to fill”. The EU’s executive is keen to offer the prospect of membership to six Balkan states, including Albania, seeking to counter growing Russian and Chinese influence in the region. The EU’S chief executive, Jean-Claude Juncker, said last week that the bloc needed to accept new members from the Western Balkans to avoid the risk of a new war there. But member governments, mindful of popular scepticism about opening the EU’s doors to more poor countries, are more cautious. From Britain to Hungary, populist parties have made electoral gains by playing on the alleged dangers of large-scale Muslim immigration, while the opening of west European labour markets to poorer new members has been blamed for stagnant wages. The closing off of a European perspective for Albania would also leave a gap that Russia was poised to exploit, he added, warning that Moscow’s alleged inteference in Montenegro’s 2016 election could be repeated elsewhere in the Balkans. European officials have praised Albania’s progress in strenghtening the independence of its judiciary, combating corruption and embedding its democracy, but many in Brussels have been stung by perceived democratic backsliding of Hungary and Poland since joining in 2004. 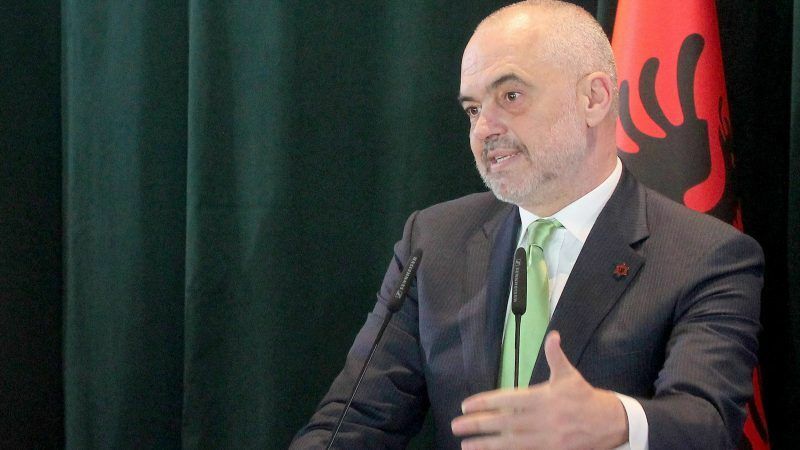 Acknowledging that Albania could not guarantee it would not follow suit, Rama said his country had no alternative to pursuing European integration. “It’s like what you ask of people when they get married,” he said. “You can’t ask more than their commitment to be together for the rest of their lives – and then things happen. “It is important that our idealism about Europe be respected and not taken as naivete,” he added. Boo-hoo! The Albanian pm, a kleptocratic leader that has ties with narco-traffickers, wants the opening of negotiations’ talks!? Is that a big joke?